and create an account, then log in. You should see a DelphixExpress folder. Delphix supplies software that accelerates application development by 20-80%. 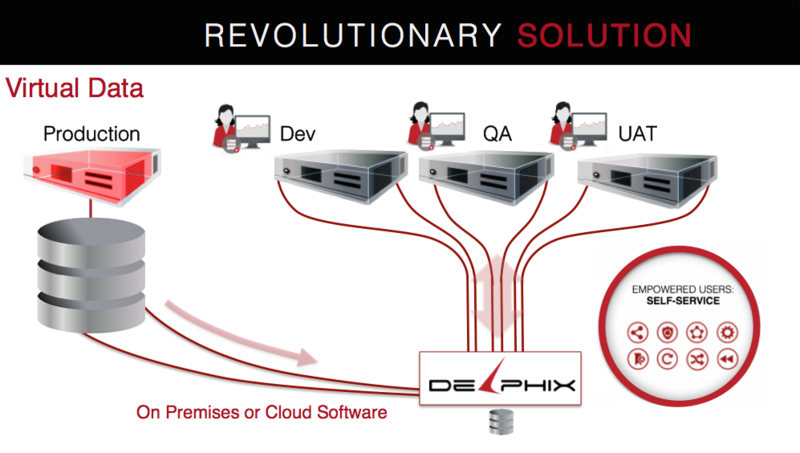 Delphix accelerates application development by eliminating the #1 bottleneck which is provisioning environments. Provisioning environments is a bottleneck when those environments require large data sets like an Oracle database or SQL Server database. 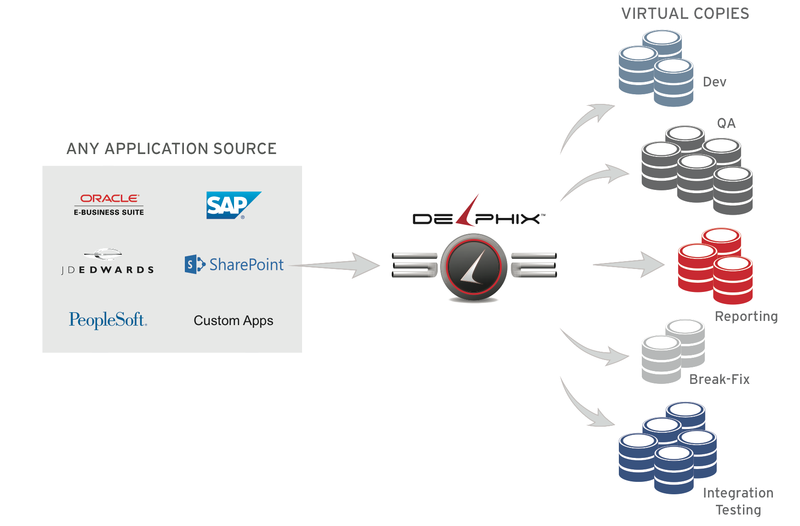 Delphix provisions these data sets in minutes for almost no extra storage using thin cloning technics and automation. Delphix provides a self-service interface where developers and QA can provision securely masked production databases in minute for almost no storage by using a technology called virtual data. What happens when you deliver data 100x faster? Today, application projects rarely meet schedules or budgets due to data-related challenges. Delphix transforms application projects by enabling access to data from any point in time, in minutes, and as a self-service. The result? Your developers and testers work faster, better and applications get to market faster— and you gain the competitive advantage. Delphix eliminates the number one bottleneck in IT, as considered by many, which is provisioning data to backup, business analysis, and application development environments. Similar to the way virtual machines create virtual copies of physical computing resources, Delphix can create multiple virtual data clones with a single, compressed copy of data. Each copy is effectively a full-size read/write copy that takes up no additional space until the copy is modified. Copies can be provisioned at any point in time down to the second from the multi-week time window of changes collected from the source. Self Service – developer interface with developer functionality and ability to refresh multiple components such as application tier, binaries, databases at the same point in time. The Delphix DaaS software platform first captures data from key enterprise applications. Next, it controls data across the application lifecycle, with functionality to version data as it changes, mask sensitive data for compliance, and manage user access. Finally, it creates copies for use by developers, testers, and business analysts. Delphix copies behave just like regular data sources, but can be provisioned in 1/100th of the time and take up 1/10th the infrastructure. Moreover, Delphix keeps track of data changes over time so copies can be reset to a prior state, refreshed to the latest version, or bookmarked at specific points in time. The world’s largest and most sophisticated enterprises use Delphix to lowers operational costs, improves productivity, and allows teams to quickly release application functionality that drives the business. Delphix is the most powerful product to improve development output and quality in the 20+ years I’ve been working with databases. It improves development by eliminating the enormous infrastructure, bureaucracy and time drag that it takes to provision databases for development environments. Development environments depend on having a copies of production databases and Delphix allows provisioning in a few minutes with almost no storage overhead by sharing duplicate blocks among all the copies. Delphix is used by the #1 companies in their industries such as Walmart, Cisco, Facebook, Ebay, Pfizer, New York Life. The median gain we have seen on app dev teams from eliminating the process barriers of provisioning is a 2x application output increase not to mention storage savings and IT personnel improved efficiencies. Delphix is software. Delphix installs on any x86 box, supports any Oracle OS (as well as SQL Server) and uses any storage. The source database is copied onto the Delphix machine with RMAN APIs, the data is compressed and Delphix handles capturing new changes on the source database and provisioning of virtual databases. Virtual database can be provisioned from the original source at any second or any SCN during the source retention window which is typically 2 weeks. Then you can make as many copies as you want for almost free. 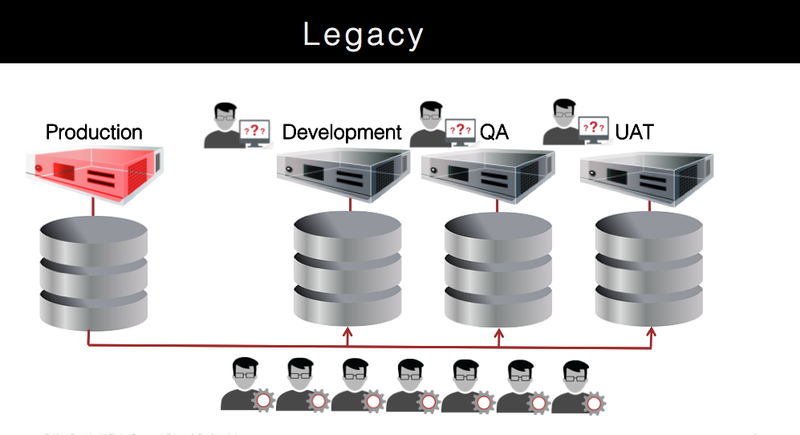 Is Continuous Integration compatible with database applications ? Can you justify your data ? Big data or Agile data ? Number one bottleneck in IT ? Version control a multi-terrabyte database?! Yes ! Database Upgrade – What’s the Bottleneck? Forbes Magazine Names Delphix One of America’s Top 25 Most Promising Companies of 2014.
winner of the IET Innovation Award. The San Francisco Business Times also named Jedidiah Yueh CEO of the Year in 2013.